Dev Naraine trained at the British School of Osteopathy in London and at Oxford Brookes University where he gained a BSc(Hons) degree in Osteopathy. 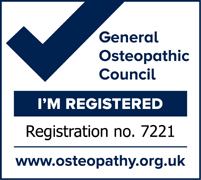 Dev is registered with the General Osteopathic Council (GOsC). In 2007, Dev trained as a Sports Injury & remedial massage therapist with the Association of Physical and Natural Therapists in London, gaining a diploma in Sports injuries and Sports massage. He is also registered with the British Complementary Medicine Association No: 03280. Prior to this Dev trained as a Holistic Massage Therapist in 1987 with Sara Thomas at the Massage Training Institute in London. In 2014 Dev began working with Worcester Complementary Health (WOCOH), heading up the Osteopathic and Sports Injuries side of the practice. He has also held associate positions in Osteopathic sports clinics in Oxford and at the Atlas pain relief centre in Birmingham. Dev is a recognised Osteopathic service provider to the Occupational Health Department of Worcestershire County Council and is the appointed Osteopath to Pershore Rugby Club.